Grew Up… as an Archduchess of Austria. The Hapsburg royal only just became adjusted to life in her own court before she was whisked away to wed the Dauphin of France, the future Louis XVI, and become a part of the French court. Living… in utter luxury in France. 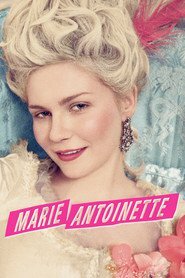 Marie Antoinette, the Dauphine of France, likes to spoil herself. Life in the palace of Versailles revolves around pleasure. Though, things are quite different outside the palace gates. The starved French peasants are only getting angrier and more resentful of the repressive monarchy by the minute. Profession… Queen. Although many people envy her position, Marie is unhappy in her role. She is a free-spirited party girl who is finding royal life to be quite rigid and boring. And as a foreigner, she has never been accepted by her husband’s court of advisors. Relationship Status… married to Louis XVI of France. Marie’s husband, despite his grand title, hasn’t proved to be so grand in the bedroom. Personality… free-spirited and fun but also shallow and confused. Marie doesn’t know what to make of new life in a foreign court. France, it seems, is more complicated than Marie’s native Austria. She is in over her head (in more ways than one). Marie Antoinette's popularity ranking on CharacTour is #1771 out of 5,000+ characters. See our top-ranked characters and read their profiles.